Singer-songwriter, is one of America’s true original troubadours. In a career spanning four decades, he has recorded 14 albums, had several hundred covers of his songs, including the American folk classic "Garden Song" [Inch by Inch, Row by Row] and performed in clubs, concert halls and festivals across the US, Canada and Europe. He has appeared on numerous broadcasts, including National Public Radio’s A Prairie Home Companion. 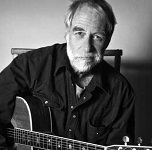 Known for his carefully written, poetic offerings, his body of work has provided material for an eclectic list of artists that includes Alison Krauss, Pete Seeger, Hal Ketchum, Emmylou Harris, John Denver and the Muppets. As Sing Out has said about "Songwriting doesn’t get much better than this, and performing doesn’t get much more honest." People everywhere seem to understand what David Mallett's songs are about. Although they are rooted in place, they speak to the essential things that move us all. If you grow up in a small rural town, as Mallett did, you can't help but learn its stories. He knows about the people who shouldn't have stayed, but did, and those who shouldn't have left, but did. The loss of American towns and rural landscapes is the subject of many of his songs, as are the issues of wilderness preservation and the struggle of the common man. is an award-winning multi-instrumentalist, singer/songwriter, and performer. From New Orleans-style jazz and blues to rousing Americana and poignant folk narratives, Heather’s live performances, both solo and with her acoustic trio (Davy Sturtevant on strings/cornet and Shawn Nadeau on bass), feature her virtuosity on piano, her bell-tone vocals, and her quiet yet engaging stage presence while wielding a tenor banjo, melodica, ukulele, or acoustic guitar. Her music moves seamlessly and effortlessly from one style to the next, and a growing catalog of wildly divergent CD releases reflects her boundless creativity. 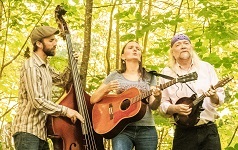 Heather’s trio burst onto the national folk scene in 2015 with their debut EP, Still She Will Fly, whose title track was the #2 single on the Folk radio charts that same year. The trio’s full-length debut, Singin’, was released on June 30, 2017, the tenth release on Heather’s own record label, Vessel Recordings, and debuted at #1 on the Folk radio charts. '); // document.write('Tickets are still available online. '); // document.write(' Online orders will be accepted until 2 PM today! '); // document.write('This show is now Sold-Out! '); document.write('Online and phone ticket orders are no longer being taken, but tickets may be purchased at the door for $35, beginning at 6:30 PM! '); // document.write("Don't wait any longer to order your tickets for this show. There are fewer than 40 left! It is unlikely that more tickets will become available, but if you would like to be placed on a waiting list, '); // document.write('please send an email to reserve@wfma.net with your name, the number of tickets you need and that you wish to be placed on the David Mallet waiting list. '); // document.write('If/when we can accomodate your request, you will be notified via email. '); // document.write("
We expect tickets to sell quickly so don't wait too long. 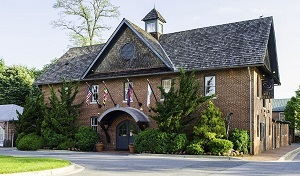 "); // document.write("
Recalling the charm of a bygone era, the Gaithersburg Arts Barn is a beautifully renovated stable that once housed horses on the former Tschiffely estate. Today, the Arts Barn is part of Arts on the Green, Gaithersburg’s home for visual and performing arts. In addition to a 99-seat theater, the Arts Barn offers rotating art exhibits, artists-in-residence studios, a gift shop featuring artist-made items, and an active schedule of visual and performing arts classes, workshops and camps for children and adults. Plenty of free parking is available in the vacinity of the Arts Barn. Download or view the Arts Barn Parking Map.